PDF file 2.6 MB Best for desktop computers. ePub file 1.2 MB Best for mobile devices. mobi file 3.4 MB Best for Kindle 1-3. What is Truth Decay and what evidence for it exists? Is Truth Decay new, or has it previously existed in some form? What causes Truth Decay and what are the consequences? What can be done to combat Truth Decay? Over the past two decades, national political and civil discourse in the United States has been characterized by "Truth Decay," defined as a set of four interrelated trends: an increasing disagreement about facts and analytical interpretations of facts and data; a blurring of the line between opinion and fact; an increase in the relative volume, and resulting influence, of opinion and personal experience over fact; and lowered trust in formerly respected sources of factual information. These trends have many causes, but this report focuses on four: characteristics of human cognitive processing, such as cognitive bias; changes in the information system, including social media and the 24-hour news cycle; competing demands on the education system that diminish time spent on media literacy and critical thinking; and polarization, both political and demographic. The most damaging consequences of Truth Decay include the erosion of civil discourse, political paralysis, alienation and disengagement of individuals from political and civic institutions, and uncertainty over national policy. This report explores the causes and consequences of Truth Decay and how they are interrelated, and examines past eras of U.S. history to identify evidence of Truth Decay's four trends and observe similarities with and differences from the current period. It also outlines a research agenda, a strategy for investigating the causes of Truth Decay and determining what can be done to address its causes and consequences. 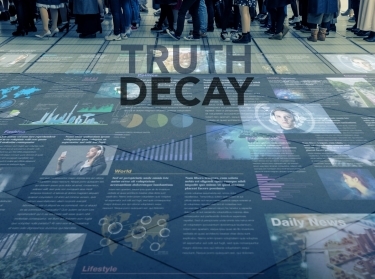 Truth decay's drivers feed into the four trends. Truth decay's four trends result in the following consequences. Consequences can feed back into the trends. And the trends can also feed back into the drivers. This report explores three historical eras — the 1890s, 1920s, and 1960s — for evidence of the four Truth Decay trends and compares those eras with the past two decades (2000s–2010s). 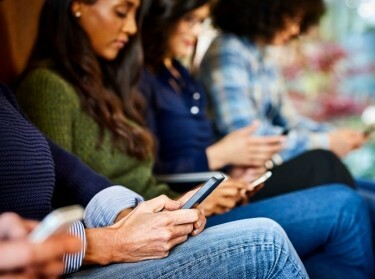 Two of the four trends occurred in earlier periods: the blurring of the line between opinion and fact and an increase in the relative volume, and resulting influence, of opinion over fact. Declining trust in institutions, while evident in previous eras, is more severe today. No evidence of an increase in disagreement about facts and analytical interpretations of facts and data was seen in the earlier periods. Four drivers, or causes, of Truth Decay are described: cognitive bias, changes in the information system (including the rise of social media and the 24-hour news cycle), competing demands on the educational system that limit its ability to keep pace with changes in the information system, and political, sociodemographic, and economic polarization. Various agents also amplify Truth Decay's trends. The consequences of Truth Decay manifest in many ways. 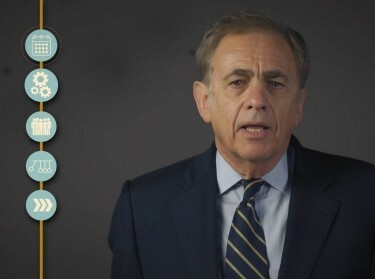 The most damaging effects might be the erosion of civil discourse, political paralysis, alienation and disengagement of individuals from political and civic institutions, and uncertainty about U.S. policy. Interdisciplinary research and cooperation among research organizations, policymakers, educators, and other stakeholders will be necessary to shed light on the problem of Truth Decay and to develop a clearer understanding of the problem and devise possible solutions. Examine more closely how Truth Decay has manifested in the past at home and abroad, extracting lessons that can assist in the fight against Truth Decay. Further explore Truth Decay trends, including such areas as how media content has changed over time, the ways in which the speed and nature of information flow have evolved, developments in the education system and its curricula, the ways in which polarization and political gridlock have (or have not) worsened, the erosion of civil discourse and engagement, and changes in the severity of uncertainty about U.S. policy. Investigate the processes and mechanisms that connect Truth Decay to information dissemination, processing, and consumption; institutions, authorities, and intermediaries; polarization, engagement, and discourse; the benefits and challenges of technological advancement; and agency. Truth Decay as an interconnected system should also be explored. Finally, develop and evaluate potential solutions and mitigations to the problems caused by Truth Decay. Priority areas include educational interventions; improving the information market; institutional development and rebuilding; bridging social divides; harnessing new technologies; behavioral economics, psychology, and cognitive science; and organizational self-assessment. Historical Context: Is Truth Decay New? Drivers: What Is Causing Truth Decay? This project is a RAND Venture. Funding was provided by gifts from RAND supporters and income from operations. Kavanagh, Jennifer and Michael D. Rich, Truth Decay: An Initial Exploration of the Diminishing Role of Facts and Analysis in American Public Life. Santa Monica, CA: RAND Corporation, 2018. https://www.rand.org/pubs/research_reports/RR2314.html. Also available in print form.